While these apps are undeniably cool, I was a little disappointed that the early app releases were pretty much all games, with a lack of productivity tools. (True, many of the games are word-related games, but still.) So I was pleased to see the release of a Notepad app for the Kindle, a program that will allow you to use your Kindle to type, read, and store quick notes (think grocery lists, phone numbers, to-do lists, or a quick scene for your next book that just popped into your head). 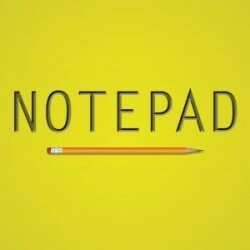 The Notepad app is just $0.99, and has stellar reviews: a near-unanimous 5-star average on 34 Amazon reviews so far. It boasts quick, simple note-taking, auto-saving of notes, adjustable font sizes, notes are saved in .TXT format for export to your computer, and a search function across multiple notes. It’s definitely worth checking out if you’d like to add note-taking functionality to your Kindle for a buck. Note: Kindle apps and games (also known as “active content”) work on the Kindle 2, 3, DX, and DX 2, but not on the Kindle 1. You didn't really think they could just get along, did you? Once Apple entered the e-book business back in April with the launch of the iPad and the iBook Store — and partnered with publishers to cram the agency pricing model down Amazon’s throat — a collision like this was probably inevitable. After all, Apple has been selling e-books to be read on iDevices through the iBook store, while Amazon has been selling e-books for those same iDevices through the Kindle for iPhone/iPad apps. And, it’s pretty clear which of those two e-book retailers has been more successful: Amazon still commands the strong majority of e-book sales, while Apple’s iBook Store has floundered. So, is Apple OK with Amazon moving in and selling all those e-books to iDevice owners? Apparently not. In the past week, Apple has started “clarifying” its position on e-book stores (and magazine and newspaper publishers) selling content through iOS apps to (what Apple sees as) Apple’s customers. The first salvo was when Apple denied the Sony E-Reader app, claiming that it violated guidelines related to in-app purchases. Over the ensuing week, Apple’s position became more clear, as it is apparently gearing up to require vendors who sell content to do so through in-app purchases. At issue is the current practice of many current apps (like Kindle for iPhone) that take users to Safari to purchase e-books over the Internet, bypassing Apple’s app store and its 30% cut of all app and in-app purchase proceeds. And Apple has given existing apps until June 30 to comply with the new requirement, which is that any app offering out-of-app purchases (like those over the Internet), must also offer an in-app option (at the same price). Of course, the in-app option (which will just be a click, attached to your existing Apple account and payment method) will be much more convenient for most users than launching a website and signing in. (Crazy side-note: Apple licenses Amazon’s patented 1-Click purchasing system.) Even worse, it appears from Apple’s latest statements that apps can’t even link to outside stores (like Amazon), but only offer the in-app purchase! Think about that for a minute: Apple will now require e-book vendors (Amazon, B&N, Sony), magazine publishers, streaming video apps, and anyone else who sells anything that can be accessed through an App Store app to remove external Internet “buy links” and instead offer an in-app purchase option. And Apple will get 30% of all of those sales. In the case of e-books, the agency model agreements already specify that e-book retailers only get 30% of the sale price, which means that Apple would get all of the profit (and then some, since Amazon has some costs) from e-book sales: 70% would go to publishers, and 30% to Apple, with Amazon getting nothing. And while it currently appears that customers could choose to bypass the one-click in-app purchase and buy directly from Amazon’s website instead (from their computer, or by going to Safari themselves), how many will? And what is to stop Apple from preventing external purchases from being usable inside an app? Obviously, Amazon can’t let this stand. There’s no way they’re going to agree to create the world’s largest e-book store, write an iOS app, deliver e-books to customers, and provide tech support for purchases, yet give all the revenue from Kindle app users to Apple. But, Amazon has promoted the “Buy Once, Read Anywhere” tagline, as it lets users read e-books purchased from the Kindle Store on Kindles, Macs, PCs, smartphones, Android, and Apple iOS devices. Yes, pulling the Kindle for iPad app would hurt Apple and the iPad’s already-damaged reputation as an “e-reader” and would tick off customers who bought an iPad thinking they could unify their Amazon, B&N, Sony, Kobo, and Apple e-book libraries on one device, but it would also tick off Amazon customers and Kindle owners who like to read from time to time on their iPhones. It’s pretty much a lose-lose situation, but Apple seems to be forcing the issue. What’s the upshot of all this for iDevice owners? Will their iPhones and iPads become less useful overnight? I think being able to access Kindle e-books on the iPad was an important selling feature for Apple. How much other content will iDevice users lose access to? What other apps will this new policy affect? Would you want to develop an iOS app right now? Even more disturbing are the future ramifications of such a move by Apple. If Apple considers iOS users as its customers for third-party goods (in a way that Dell, for example, never does when you use one of their computers to buy something online), what else will they try to “tax”? Now that Apple has earned a dominant position in the mobile app field (the Apple App Store is far ahead of the Android Marketplace or any competitors), how long until it starts changing the terms on developers? Although those developers provided a large portion of the value of Apple’s “platform” (the iDevice + wide variety of cool apps in the App Store) and helped make it #1, now that Apple is the dominant smartphone and tablet computer platform, it doesn’t need any one developer nearly as much as that developer needs Apple. What’s Apple’s next move here? Perhaps requiring exclusivity from its apps to prevent Android from becoming a threat? This new Apple policy is a pretty disturbing move (that is almost certain to hurt consumers, however it shakes out), but even more disturbing is how Apple has morphed from the plucky underdog to the ruthless, monopolistic giant corporation that uses its power to squash competition. To complete the irony, perhaps the best hope to tame the Apple juggernaut is a partnership between Nokia and a plucky upstart in the mobile operating system field: Microsoft. Chess is probably one of the most popular computer games, and it’s a great candidate for the Kindle since it doesn’t rely on great graphics or video or even color — the pieces are, after all, black and white. It’s also a great fit considering the general slant of Kindle games so far: more cerebral, thinking games (like word games and Sudoku) rather than action / arcade types of games. 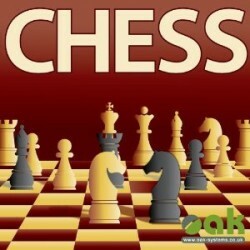 If you try out the chess game (or any of the others), please leave a comment and tell us what you think of it! 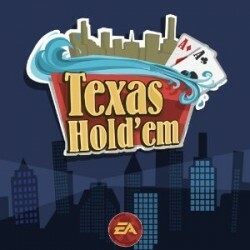 I thought this was interesting enough to merit a quick post: Electronic Arts has released a Texas Hold ‘Em poker game for the Kindle. It’s available for download now for $3.99. 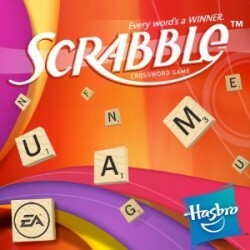 I’ve posted before about Kindle apps, but what makes this one so interesting is that it’s one of the few Kindle apps available so far that’s not a word game or strategy game — previous games included Scrabble, Every Word, and Sudoku, although EA also released a Solitaire card game last month. Texas Hold ‘Em is obviously a hugely popular game, so I think a lot of people would be interested in this. It makes me wonder what else we’ll see on the Kindle, and if it will soon become a full-featured game machine that will get more and more cool apps. 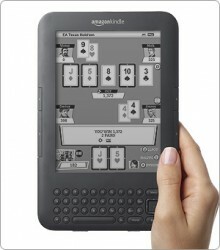 I was wondering if Amazon intended to keep the apps and games reading-related, or at least “cerebral.” Well, poker can certainly be cerebral, but this seems like more of a “mainstream” game than Amazon’s first two app offerings, which were both word games that really seemed to “fit” the idea of a Kindle. Of course, the types of games and apps are limited by the Kindle’s black & white e-Ink screen, but I’ve been impressed so far by each of the Kindle games I’ve seen — the screen wasn’t a hindrance, and the games were easy to play (the Kindle’s full keyboard helps). Anyway, we’ll see if this starts a trend toward more “casual” or “mainstream” Kindle games. And I’m also keeping my eyes peeled for apps — weather, note pads, a thesaurus or translation app, etc. Kinda cool that this capability didn’t exist when I got my K2, so it’s really come as a bonus (although, sadly, these apps don’t work on the older K1). While it’s no secret that Apple’s iPad is generally better for games than the Kindle (due to its color LCD screen), Amazon has recently released a number of Kindle Games & Apps and leveled the playing field a bit. The games I’ve tried have been surprisingly good — even limited by the slow refresh rate and black-and-white nature of the Kindle’s e-Ink screen — and have proven fun and surprisingly addictive! So far, most of the Kindle games are word games or “thinking” games of some sort: Scrabble, Sudoku, and strategy games, for example. These games usually work on the Kindle 2, Kindle 3, or Kindle DX models — sorry, Kindle 1 users, it seems you’re out of luck here. Please do check the requirements before buying one of these games. Amazon earlier this year announced an upcoming “App Store,” which would allow programmers and developers to create their own Kindle applications and games (similar to Apple’s App Store). So far, however, we’ve only seen a trickle of games released by Amazon itself or a couple of big names, like Electronic Arts. Presumably, sometime soon the floodgates will open and anyone can write an app for the Kindle — and not just games, but also perhaps productivity apps (calendars, to-do lists, etc. ), RSS readers, custom screensavers, weather apps, etc. The good news so far is that several of the already-released apps are completely free — and I’d recommend you give them a try. I’ve played Shuffled Row and Every Word — both Scrabble-like word games — and both are excellent. After a couple of games, they quickly became pretty addicting, as I tried to beat my high score. Playing them felt more “Kindle-like” than your average game: while they were both fun, they also have a solid educational, vocabulary-building element. And the performance on my K2 is great — there’s obviously no color, but the graphics are well-done and there aren’t any issues with the animation speed. The Kindle’s full physical keyboard comes in very handy here. There are a few paid apps too, including Solitaire (a compilation of 12 solitaire card games), Scrabble, and Sudoku by Electronic Arts. Each of the Kindle games is highly placed on the Kindle best-seller lists: Solitaire is #1 on the list of paid Kindle books (yes, the apps are mixed in with e-books), and Mine Sweeper is #1 on the free list.